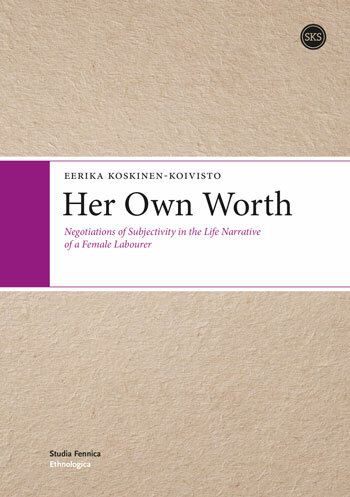 In this study, I examine the life narrative of a female factory labourer, Elsa Koskinen (née Kiikkala, born in 1927). I analyze her account of her experiences related to work, class and gender because I seek to gain a better understanding of how changes in these aspects of life influenced the ways in which she saw her own worth at the time of the interviews and how she constructed her subjectivity. Elsa’s life touches upon many of the core aspects of 20th-century social change: changes in women’s roles, the entrance of middle- class women into working life, women’s increasing participation in the public sphere, feminist movements, upward social mobility, the expansion of the middle class, the growth of welfare and the appearance of new technologies. What kind of trajectory did Elsa take in her life? What are the key narratives of her life? How does her narrative negotiate the shifting cultural ideals of the 20th century?A life story, a retrospective evaluation of a life lived, is one means of constructing continuity and dealing with the changes that have affected one’s life, identity and subjectivity. In narrating one’s life, the narrator produces many different versions of her/him self in relation to other people and to the world. These dialogic selves and their relations to others may manifest internal contradictions. Contradictions may also occur in relation to other narratives and normative discourses. Both of these levels, subjective meaning making and the negotiation of social ideals and collective norms, are embedded in life narratives. My interest in this study is in the ways in which gender and class intersect with paid labour in the life of an ordinary female factory worker. I approach gender, class and work from both an experiential and a relational perspective, considering the power of social relationships and subject formations that shape individual life at the micro-level. In her narratives Elsa discusses ambivalence related to gendered ideals, social class, and especially the phenomenon of social climbing as well as technological advance. I approach Elsa’s life and narratives ethnographically. The research material was acquired in a long-standing interview process and the analysis is based on reflexivity of the dialogic knowledge production and contextualization of Elsa’s experiences. In other words I analyze Elsa’s narratives in their situational but also socio-cultural and historical contexts. Specific episodes in one’s life and other significant events constitute smaller narrative entities, which I call micro-narratives. The analysis of micro-narratives, key dialogues and cultural ideals embedded in the interview dialogues offers perspectives on experiences of social change and the narrator’s sense of self. 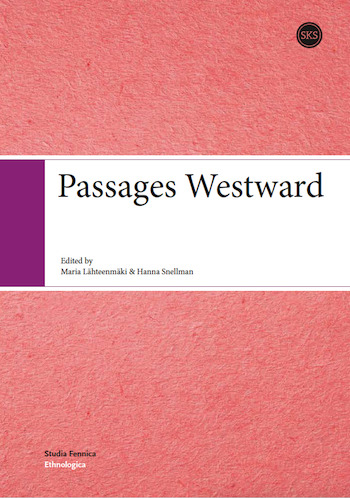 This book is part of the Studia Fennica Ethnologica series. In the mid-19th century, letters to newspapers in Finland began to condemn a practice known as home thievery, in which farm mistresses pilfered goods from their farms to sell behind the farm master’s back. Why did farm mistresses engage home thievery and why were writers so harsh in their disapproval of it? Why did many men in their letters nonetheless sympathize with women’s pilfering? What opinions did farm daughters express? This book explores theoretical concepts of agency and power applied to the 19th-century context and takes a closer look at the family patriarch, resistance to patriarchal power by farm mistresses and their daughters, and the identities of those Finnish men who already in the 1850s and 1860s sought to defend the rights of rural farm women. 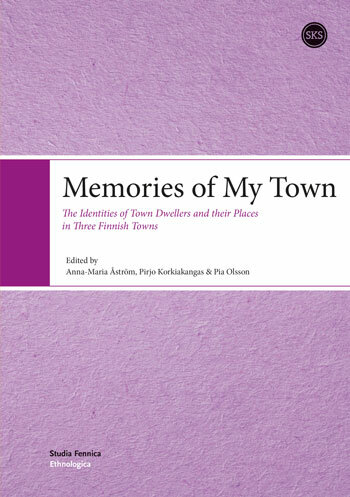 Memories of My Town is an exploration into how town dwellers experience their environment in a complicated way. 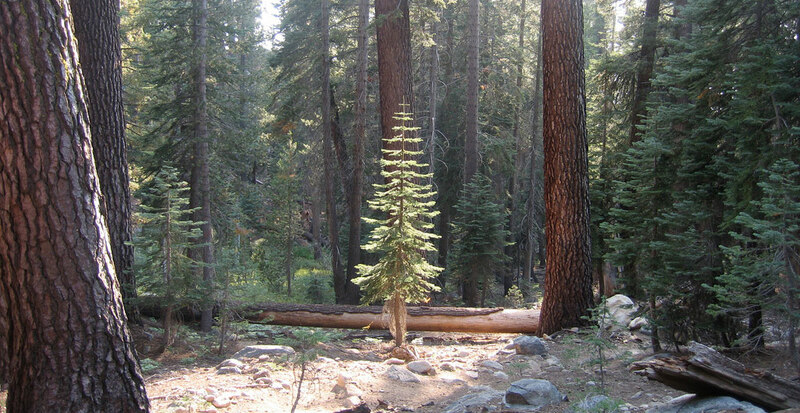 As people in urban milieus relate themselves to the environment, this takes place on many levels, where especially the time level becomes problematic. The urban buildings and settings can be looked upon as a kind of collective history, as carriers or witnesses of times past. But it is only the town dwellers that experience urban time itself, the time they live in, but through their memories also times past. In this past some elements take symbolically dense expressions. Through reliving and narrating their experiences the symbolically important factors in this urban relationship will be outlined for investigations concerning three towns, Helsinki, the capital, Vyborg, the ceded and lost Karelian town, and Jyväskylä, a town with dense commercial and cultural dimensions in the middle of Finland. The aim of the book is to use different theoretical concepts as guidelines in analysing the different narrative texts.